Breakaway Training receives 20% OFF Acupuncture at AcuLife, Inc.
Julia is the Official Team Acupuncturist for Breakaway Training, and was voted Best Acupuncture and Best Massage by La Jolla Village News for 2012, 2014, and 2015. 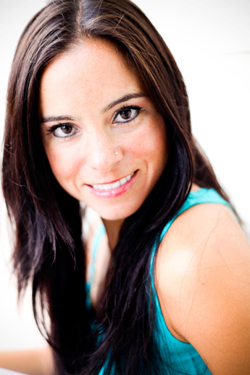 Julia is a certified and licensed acupuncturist (LAc.) by the California Acupuncture Board, and the National Certification Commission for Acupuncture and Oriental Medicine (NCCAOM). Julia is a nationally certified massage therapist by the National Certification of Therapeutic Massage and Bodywork (NCTMB), is a certified ART™ (Active Release Techniques) Total Body Provider, and a registered yoga teacher (RYT-200). She received a Bachelor’s degree from the University of Michigan, Ann Arbor. Julia’s clinical experience includes completion of the Oriental Medicine and Asian Body Therapist program, with over 3,500 hours of training in Western and Eastern medicine. She interned at AcuSport Health Center, RIMAC sports facility at UCSD, San Diego Senior’s (Geriatric) Clinic, and was a Teacher’s Assistant at PCOM for the Treatment of Orthopedic Disorders. Julia has been in private practice for 6 years, and treats everything from acute strains to chronic pain. She works closely with other health practitioners, and discusses diet, supplements, rehab and stress management to recover as quickly as possible. overall health. Most importantly, she values balance in life: physically, emotionally, mentally, and spiritually. Julia’s mission is to empower her patients to create a lifestyle and maintenance program that promotes their healthiest and happiest version of themselves.